The Chinese gadget maker Hisense thrilled gadget buyers last year when it released the Sero 7 Pro, a $149 Android tablet that set the standard for the budget tablet market last year. I for one was expecting Hisense to repeat that trick in 2014, but that hasn't happened. Now that I've had my hands on the Sero 8 for a week I can see that Hisense has made a good tablet, just not one which deserves the praise lavished upon the Sero 7 Pro last year. Hisense has only launched a single tablet in the US and Europe (a second tablet just cleared the FCC). The Sero 8 isn't quite what I would expect in a replacement for the Sero 7 Pro; it is a mid-sized tablet with a budget price of $129 and (aside from the cameras) the specs and performance of similarly-priced mid-grade 8" Android tablets like the Acer Iconia A1-830. The Sero 8 is taking over the reins as Hisense's flagship tablet from the difficult to find Sero 7 Pro, and in several ways it is a better tablet. The Sero 8 sports a 1.4GHz quad-core Rockchip CPU with 1GB RAM, 16 GB internal storage, and two cameras. It has both Wifi and Bluetooth, a microSD card slot, and an 8" screen. At first glance and at second glance, the Sero 8 looks like a generic Android tablet. It's made to be held in landscape position, and it has a simple black glass front with a textured plastic back. The single speaker is on the lower back of the tablet, along with a 2MP camera. The front-facing VGA resolution camera is centered over the screen, and on the upper edge you'll find the power button, headphone jack, USB port, and microSD card slot. The Sero 8 has a more powerful CPU than most tablets in this price range (including the Sero 7 Pro), and it also ships with better cameras and more storage. The cameras are admittedly weaker than on the Sero 7 Pro, but then again that tablet had better cameras than what you could find on a $99 budget tablet. The quality of the screen is one of my chief concerns for budget tablets, and the Sero 8 doesn't disappoint. This tablet has an 8" display with a resolution of 1280 x 800. Unlike cheaper tablets, the color quality is great, and the viewing angle is on par with the iPad. The Sero 8 can be viewed from virtually any angle (including close to 90 degrees to the left, right, up or down) without any decrease in color quality or the viewing experience. Not only is the screen good, this tablet could well double as a flashlight. At maximum setting the backlight is somewhat brighter than the one on my Kindle Fire HD, and at its dimmest the backlight on my Sero 8 Pro is also somewhat brighter than the one on my Kindle Fire HD. The Sero 8 is equipped with a 2MP camera and a VGA resolution webcam. I tested both cameras outside, and they are quite good. There's no LED flash on the rear camera, so it won't be much good for less than brightly lit situations, but it still takes a high quality photo. The cameras are supported by the basic camera app, with the usual minimal features. According to the specs posted online, the Sero 8 has a 4Ah battery, with an estimated battery life of 7 hours. I think that is a conservative estimate. My tests suggest that the Sero 8 has a video run time of over 6 hours. Regular runtime will likely exceed 8 hours and can be extended by avoiding intensive tasks like watching movies or playing games. My estimate is based on playing a 1080p video with sound at full volume and Wifi on. While this isn't the most intensive use of the battery, but it does offer a good yardstick because most activities short of 3d gaming will need fewer resources. I have also noted that the Sero 8 has a standby time of around 5 days, which is fairly common for budget Android tablets. This tablet ships with Android 4.4 KitKat, Google Play, and a minimum of bloatware. In addition to Google's mandated apps (Play Newsstand/Music/Books/Games/, Voice Search, Hangouts, maps, etc) Hisense has only installed 4 apps, three of which belong to Walmart (Vudu and two shopping apps for Sam's Club and Walmart.com). The 4th app is a TV remote app which could prove useful for anyone who still owns a TV. I installed a few apps myself, but I will admit that I didn't test the software features as extensively as I could. I didn't really see the need. The Sero 8 runs a stock version of Android 4.4 with few additions. There's not much to say about it. With an Antutu score of 17,712, the Sero 8 promises a performance superior to that of the Hisense Sero 7 Pro (as well as other cheaper 7" tablets I reviewed last year). And it delivers. The Sero 8 is noticeably peppier than the 7" Android tablets sitting on my desk. It more than fills my needs for a budget device, and if nor the my discomfort over the screen size I would be sorely tempted to keep the Sero 8 and see if the extra power enabled me to get more done, faster. The Sero 8 comes equipped with the basic gallery app, the stock media player, Youtube, Vudu, and a video player app which I somehow managed to get to display in a window (I have not managed to get it to repeat that trick). I haven't tested the Vudu app, but the first three work just fine. Given the Sero 8's score on Antutu, we already knew that it was more than powerful enough to handle virtually any video thrown at it, even 1080p videos or higher. They look great, but the audio is another matter. The Sero 8 only has a single rear-facing speaker, and it was (at its loudest) very quiet. This is not a speaker you can use in a quiet room; it's simply not loud enough. I think you will need to plan on using the headphone jack, or a pair of BT headphones. On the plus side, the audio quality of that quiet speaker was generally good; I listened to several songs with tricky audio and most of the keywords came through clear. This is a solid tablet. The build quality is great, and Hisense used decent components (especially the cameras) and they added more storage than I would have expected. The Sero 8 even scored well on the performance test. But I for one don't like the screen size. Yes, I know this is picking nits, but the Sero 8 is too heavy and too large for me to comfortably pick up by gripping the edges. This is one of the things I like about 7" tablets, which I can easily scoop up and carry one-handed. The Sero 8 is bigger, and yet it doesn't offer a significant increase in screen real estate in trade. What's more, the Sero 8 has the same screen resolution as many 7" tablets, spreading the same number of pixels over a larger area. But still, this is a good tablet - just not as good of a deal as the Sero 7 Pro was last year. At $149 the Sero 7 Pro was incomparable, while the Sero 8 has at least one 8" tablet that offers a similar value. Right now I also have the Acer Iconia A1-830 sitting on my desk. This tablet has similar performance and comparable specs (better cameras but no card slot), and only costs $10 more on Amazon.com than the $129 list price for the Hisense Sero 8. I can see the good points in the Sero 8, but I wouldn't recommend rushing out and buying it right away - not when you should also consider what else is on the market in the same price range. Update: Now that I have reviewed the Iconia A1-830 I can say that the Sero 8 is a better buy. Walmart is supposed to be the exclusive retailer, but they do not sell it on Walmart.com nor is it carried in most stores. You'll need to check the Walmart website and see if any stores near you have this tablet in stock. It could be rather difficult to get your hands on a new Sero 8; you might want to check Ebay. You could also look for a refurb, but I don't know that any were available when I wrote this post. Dimensions: 8.2" x 7.6" x 0.4"
I’ve just started working on a review of the A1-830 mentioned in this review. I think I might need to revise my opinion of the Sero 8 from from good to “better than Acer”. It’s only been a few hours and I think the Sero 8 is the better tablet. I’m probably going to have to revise this review after I write the next one. I just purchased this for my 13 year old after searching like mad for a sero 7 pro to buy and stick back for him for Christmas. I am hoping that this was not a mistake for a first tablet for him. What do you think about it? I don’t want to open it and mess with it as I want him to have that privilege. ( I got a Nintendo once and when I opened it it was obvious the gifters had played with it.) Other than the top review would love another perspective. I think I made a good choice. Don’t ask me where they got new models that cheap; I’m stumped. But as for the Sero 8, I would be concerned about the reports of charging issues. The reports are consistent enough that I’m concerned about it. I have the Hisense Pro 7 and was contemplating whether I should have bought the 8″. The 8″ does not have as good cameras as the 7″ if that matters. No HDMI for the 8″ although the 7″ does have this if this matters. Pixels are another thing and perhaps the 7″ might be better. I don’t think you can go wrong with either. The 8″ has the one speaker and the 7″ has two. I can attest to the sound of the 7″ which is pretty good even without an external speaker. Hope this helps. I am using the Sero 8 now and I used to have the Sero 7 Pro (until it broke). While they’re both good, I think the Sero 7 Pro is better. It’s also cheaper than the Sero 8, which is a nice bonus. I just purchased the SERO 8 and I’m not satisfied at all with it. if you want to buy your 13 year old son a much better tablet, try the LG at 10 inches and it was on sale for $189. this is money well worth spent. I do have a iPad Mini but I wanted to try an Android / app tablet. I’m not satisfied at all with the picture quality the sound is not very loud. There are many apps that you cannot download on the 08. so I’m taking mine back to Walmart. try the LG, that tablet will not disappoint you. I know for a 13 year old son you don’t want to spend $400 on a Samsung, but to me if you want the best tablet go for either a Samsung or if you are into the Apple products a mini iPad. you won’t go wrong with either one of them and you can possibly get the 8 inch tablet of the Samsung on sale sometimes for below $200. I enjoy your tablet reviews. I look forward to them. Keep them coming! Thanks. I like doing them but they are an awful lot of work for not a lot of page views. The AARP RealPad has better specs but it also costs a lot more. It was enough to convince me I would not need it, but I could also see the value. One issue I have with the Sero 7 is reading magazines, usually in the Zinio app. It’s just too much scrolling. Does the extra screen real estate and aspect ratio on the Sero 8 make it bearable? It depends on what you are trying to read. I just installed the app and opened an issue of Adweek (I don’t know the print size, sorry). I had to zoom in to font size legible and after I did that it required a lot of scrolling in order to read the article. The dell venue 8 (not the pro version) tablet costs a little bit more and is more powerful than this. I recommend buying the dell venue 8 instead of this if your on a budget. Also the Dell venue 8 can handle any app/game you throw at it with absolutly no lag and the interface is silky smooth aswell. Sero 8 does NOT have: GPS, NFC, HDMI out, dual speakers, 5MP Rear w/ flash – 2MP front cameras. Also the Screen shot capture button can be (re)enabled in settings. Just got a sero 8, No GPS, cannot download many apps. I have had this tablet for a week and am hooked. Its a fun gadget. My only issues are snapchat works but the cameras are upside down only in this app, a lot of apps (Instagram,etc.) are incompatible. I believe it is because it is such a newer android, and facebook will not let you play videos. Otherwise I’d give it a 7/10. I have a feeling that the Sero 8 is going to be the “budget” tablet and then they will release a Sero 8 Pro with a better CPU, camera, flash, more onboard storage, HDMI, etc. This is still better than the Sero 7 Pro in many ways but I wouldn’t be surprised if Hisense releases an even better Sero 8 by the end of the year in time for Christmas. If they do, they would have to lower the price of the Sero 8 and sell the Sero 8 Pro for around the same $150. I’m very curious to see how this Sero 8 Pro performs with the RK3288 processor. The rest of the specs look pretty darn good. I still have a Sero 7 Pro that I really like, but almost never use. just too damn many tablets! But I’m super interested to see what the final Sero 8 Prolooks like, and if it comes in at $150-$200 I’d see it as a more serious updrage for my Nexus 7 than the $400 Nexus 9.
original report said it would be available in November. I hope that is true. I’m surprised there has been almost zero info on the internet. There are a couple other Chinese tablets out there with the same specs, specifically the iFive Mini 4 and Pipo P4. These can be had right about $200, but I’d prefer to go with the Hisense if its the same price. Well the Sero 8 dropped with basically no prior warning, so that might happen again. I’d buy three for my kids at that price. I suppose it will be about $200 in the US. 4400 mAH seems weak. would gladly sacrifice super thin-ness for better battery life on tablets and even phones! That’s a pricy tablet, yes. omar williams you are exactly right. i too wouldnt be surprised if that happens. I too was expecting a Sero 8 Pro, but not any more. If Hisense had one in the works it would have launched by now. Nate, please DO keep the tablet reviews coming, despite page views. Your Sero 7 Pro review is still one of the (very) few quality reviews of the tab, and in large part convinced me to pick one up on newegg for $40 (after rebate). Keep up the great work! And I agree with the others. It sounds like the Sero 8 is this year’s LT model. Let’s hope that’s the case. I’d love to see a Pro model release over the next few months! By the way. Have you installed any custom roms on your 7 Pro? It would be great to hear your experience tweaking our beloved tablet. Sero 8 has no GPS, NFC, HDMI out, dual speakers, 5MP Rear w/ flash – 2MP front cameras, but costs $4 more than I paid for my 7 Pro. The HDMI out port is a deal-breaker for me. I use the Sero 7 Pro to play music thru my Blue-Ray system, the sound is great. However, I will wait and see if Hisense releases an even better Sero 8 sometime soon. But it also has better performance and a slightly better screen, so it is a tradeoff. And isn’t the Sero 7 Pro hard to find? The HDMI is missing, sure (and I miss it, my Sero 7 was super handy in a pinch when doing presentations), but I believe the Sero 8 is MHL-enabled, which means with a $10 USB-to-HDMI adapater, you can get your signal out just the same. It’s not ideal, but it’s not that much more inconvenient than carrying around a HDMI cable by itself, and it saves on port space. I don’t have the cable adapter yet for my Sero 8, but I’ll update this post if I find out whether that works. Check the charger. Then check the cable. If it won’t charge with a different charger and cable then it’s defective. My Godson got a Sero 8 for his birthday. It had the same issue charged well then he let it get down to 0% – then it stuck at 35% – we tried everything including a different charger. He got a replacement. Tonight the same thing happened… he let it get down to 0% again… now it appears to be stuck at 70% – but he didn’t have it on charge long and then he left with it and it ran down again – naturally – he and his mother didn’t listen to me. It is on the charger right now. I came online to see if this is a common problem. The reason it is significant to me is that I was planning on getting one for my business. If this is going to be an ongoing problem then I do not want to waste the company’s money. I have the 7 pro. .. I think it’s a great tablet. My kids wanted a tablet so we got 2 of the new 8s. The first one had the charge problem after a couple days. Changed changers and cables. .. nothing worked, we took that one back and the new one seems ok. Now, the second one (not the replacement) isn’t charging. Very frustrating! I say take them both back and buy a couple more refurb Sero 7 Pro from Amazon. I bought 2 note books and both of them will not charge the charging ports or not working the chargers don’t even fit in the ports now its like they moved what a rip off if had these hi sense 8 for one month300.00 dollars gone???? I had the same issue with a playbook. Apparently it’s a safety issue after batteries caught fire due to heat building when on charge for too long. I had to charge for a couple of minutes, then unplug for a couple of minutes and repeat until charged 100%. Did this for a while and it is now charging fine. The charger that was included with mine sucked. It wouldn’t even go in all the way. I had to tilt it to get it to work. I reccomend using a classic phone charger, that’s what I am currently using to charge it. My sero seven pro scores 17909 on antutu. Aero eight pro based on the specs listed seems like s step down in more than one way. I bought one of these pieces o S$#@ awhile ago. It broke within 60 days. No help from Hisense America and NONE from the home office CEO in China. And they do not stand behind their products. Ala, broken screen, after 1 (one) 3 ft. fall….Ohhhhhhhh NO WARRANTY… good luck, thanks for calling Hisense USA.. good day!! Their Sero 7 pro was the best of the lot, but as I understand from H America, they are all refurbs. The build is flimsy (apparently CHEAP) to say the least. 8 in is also unwieldy; has no flash (yes I know it not the pro version–but DAMN). I warn you not to buy this unit in particular and think THRICE before buying any of their products. Please keep writing the reviews. I read them, but this is the first time I have commented. Why can’t I play videos through Facebook? Is there something I can do? The pic has lines through it. The sound is good. Also I really like it! I am so stressed out !!!!!! Its the second time I have lost ALL sound for the SECOND TIME . last time I had to reset and lose all my pics and downloads …….are you kidding me . SOMEONE needs to help me , I don’t want to send my tablet in just to be whipped clean ( been there done that, apparently it didnt work) then I would have to reset everything just to maybe lose it again !!!!!!!! I think in may want my money back!!!!! SOMEONE HELP ME !!!!!!! PLEASE. My son sent me a new Sero 8. It worked well for two weeks. The sound was never very good, very quiet. All of a sudden when I wanted to listen some music on you tube the sound was distorted and crackley. WHY. My son can hear me clearly but I cannot understand what he is saying when we speak on Skype. Imiss this terribly as I live in Zimbabwe and my son and family in London. My hisense zero7 pro is taking all day and night to charge. Does anyone know why? And how to fix it? I’ve never heard of a partial failure of the internal power circuits, so I am guessing that the problem is either the cable or the external power supply. Try replacing the cable, and then replace the power supply. 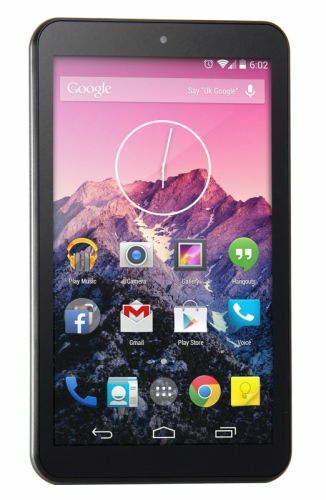 Is there a deal I heard about a Dell Venue 8 for $99 (NOT refurbished but NEW) ? Wouldn’t that be the way to go? Aren’t they normally over $200? If you can find it new for that price, yes it is a good deal. Thanks Nate, just not sure where I saw the ad, I think it was a Windows 8 tablet from Dell for that price. I have been looking at SOOO many black Friday, Thanksgiving Day ads, I’m getting dizzy. I don’t want to spend over $50 really, but will go to $100 if I have to for a good tablet deal. I really want good resolution, say 1280 x 800 and be able to to view it at all angles and finally, be able to plug it into an external monitor and full sized keyboard. Will keep looking for deals…..
j’aimerais savoir quel musique je peux mettre dedans. mp3 ou mp4 ? I’m surprised there were that many refurbished units. Just a little humorous. It’s almost like this is your first review. It’s ok but others are but wait! After you review the others THEN this is better. I bought one of the first ones at my local store (about seven months ago) and this this is the most value for the money I have EVER seen in the tablet market. It is way in front of the competition. sad to have seen our kid wreck his sero 7pro. quite the tablet. broke the screen and then dropped it on the charge port with the charger connected. Walmart warranty credits me money for a replacement,but there isn’t anything I want to replace it with unless the 8pro comes out. I was told to look for it in April when Walmart updates their electronics line. My daughter purchased the Sero 8 with her birthday money in Jan 2015. I am getting ready to send the tablet back for the 2nd time. It will not charge. I have tried other android chargers, thinking it may be her charger that’s a dud…but none of the other chargers worked either. Its very frustrating that she bought this with “her money” and she’s only used it a few times. I liked it when I bought it, but the battery only lasts about 2 hours for me – and that is just me reading a book in airplane mode :(. Also, the specs say it has bluetooth 3.0, however the best data rate I can get is 0.8Mbps, which implies ver 1.0 🙁 So…I think I’m stuck in the same long list of ripped off people as on this list. I have a question. I can’t get my numbers to work when playing a bingo game. They appear but when I touch them they won’t appear.any suggestions??? I have the Sero 8, it has an SD card slot, but the tablet does not allow you to move apps to the SD card, it says it does not have that option, what good is having an SD slot?? Yes, I have a Hisense Sero 8 tablet and some way I or someone locked m tablet and it says I need to put in password to decrypt stoage what do i do? I bought a Sero 8 in November from Woot.com. Overall, it’s pretty nice, especially for the price ($50) though a little heavy. But oddly I’ve noticed that it doesn’t display fonts in apps as expected. I originally got it to use for Scribd, and it’s a good size for me for reading, but I noticed that changing fonts in the Scribd app didn’t have any effect. I though that was a bug in the app. Then I tried reading The New Yorker on it from Google Newsstand. On other tables text displays in the distinctive New Yorker font, but on the Hisense it only display a bare system font. Same thing with the app from Harpers Magazine, and using FBReader. 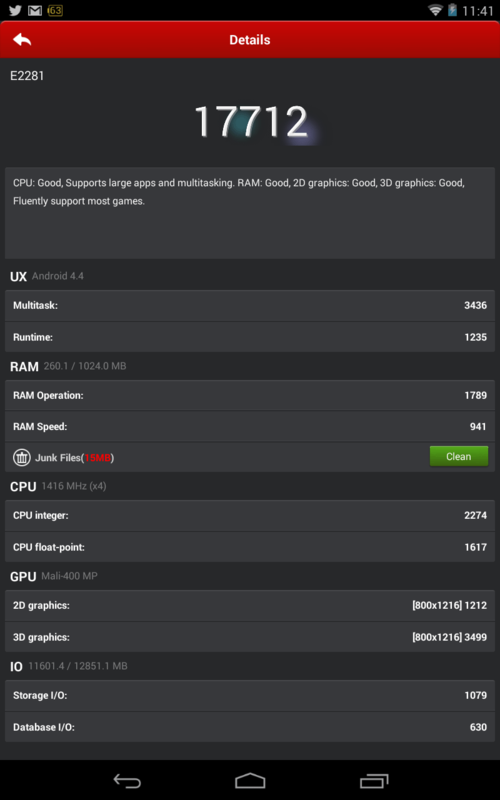 Have you ever seen this on this or other android tablets? Hisense aero 8 tablet, is defective! I have had 3new replacements. Every time the same problems arise! Soon if you try to keep using it, in my experience, it starts to leak, it looks like a black puddle in the screen. At that time it’s practically useless. Do batteries leak? I know unrepairable when I send it back! They don’t refund my money! They replaced them with another new defective sero 8 tablet! The hardware is a couple years old, and it was cheaply made. I think you may be encountering tablets which have reached then end of their lifespan.